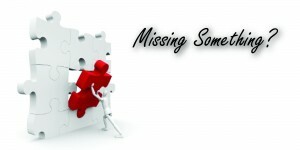 Do you feel like your missing something in your life? Do you feel like you are living in a bad dream? We all get confused and lose track and have to stand back and figure out what we are missing. If you are having this problem in your life, God may be trying to get your attention and show you what you are missing. The Decision of Heaven or Hell is up to us. We can chose Heaven or not chose Heaven which will send us to Hell. There is no middle ground. Let me take a few minutes of your time and give you direction to Heaven. This will be the greatest and easiest thing you have ever done! Just like a person traveling on a journey, before they stop and get directions, they must first realize that they are lost and need directions. Isaiah said it best as, All we like sheep have gone astray. Because of our human sinful nature we have all gone astray from the perfect fellowship with God. No one is good enough to go to Heaven on his own merit. No matter how much good we do or have done, we still fall short. We all have a disease unto death. Like the doctor diagnoses the cancer patient, the Bible has diagnosed us. We have the disease of sin and the end result is death. Not just a physical death, but an everlasting spiritual death in Hell. Believe Jesus Christ died for you. Like the president has the authority to pardon a prisoner, Jesus Christ has the authority to forgive our sins. Jesus has made the ultimate sacrifice for us upon the cross of Calvary and has paid the debt that we could not pay. It is not just knowing about or believing in Jesus, it is about believing ON Jesus. We need to believe upon Jesus for the remission of sins that we have committed against man and ultimately against God. Believing that Jesus can forgive sins is not good enough, believe that Jesus will forgive all your sins. Trust Christ alone as your Saviour. “But the gift of God is eternal life through Jesus Christ our Lord” (Romans 6:23b) It is Jesus alone that will save you. The baptismal waters nor the prayer of the saints will save you. It takes Jesus! We must confess our sins to Jesus Christ who is faithful and just to forgive us our sins and cleanse us from all unrighteousness. It is not the confessing or the words that you speak that will save you, it is the repentance and believing in the heart. Repentance is the turning from that of evil to that of God. Repentance does not come first, believing does. When we believe, it will cause want for us to repent and accept Christ as our Saviour. If we receive a gift and do not accept it, then we do not have the benefits that the gift would have brought unto us. God has given each and every one of us the gift of salvation, and it is our choice to receive or reject it. There is no other option available. Receive the gift and accept Jesus as your Lord and Saviour to receive eternal life, or reject the gift and deny Jesus from being your Saviour be destined to the destructive end of our deadly sinful disease of eternity in a place called Hell. The choice can only and will only be made by you. If you have made a choice we would love to hear about it and help you on your journey!